Which machine suits you best: Our experts are happy to advise you! Our experts Yaya, Suzy, Livia & Nelia are absolutely convinced of the models of the new BERNINA 5 Series. Their recommendations will help you to choose the perfect model for your needs! ... because you have plenty of space for big sewing and embroidery projects. ... because the B 590 sews multiple layers or unusual materials with ease. and because the embroidery module suits large embroidery designs perfectly. One thing is for sure: with the B 590 you can go wild with your imagination! ... because the B 570 QE offers enough space to create large quilting projects. ... because the Dual Transport ensures superb fabric feed on both sides. And because Patchworkfoot #97 comes standard with the machine! Want to feel like a pro? With the B 570 QE you will for sure! ... because you have a lot of space for big sewing projects. ... because with its stitch width of 5.5 mm, the B 535 sews fine material with ease. And because you can buy an optional embroidery module whenever you like. 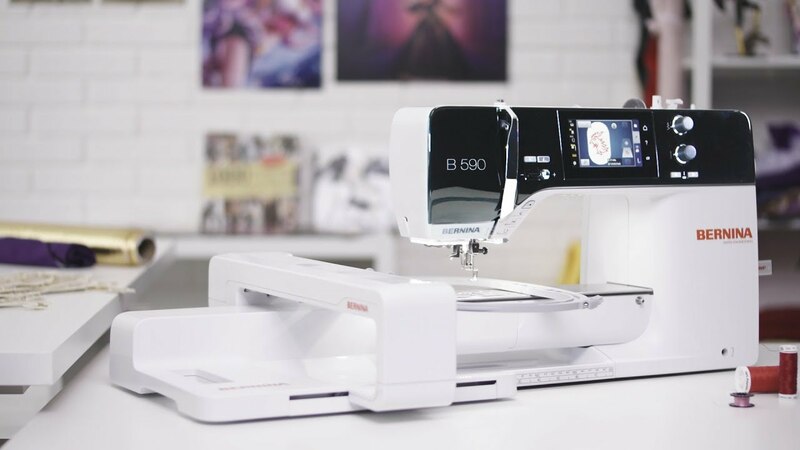 You can count on one thing: BERNINA makes sewing easy!